So you’ve just got to grips with your new Amazon Echo… and you’re used to the idea of Alexa being a part of your family. So what’s next? We’ve put together a list of the some of the most interesting, useful and just plain weird Amazon Echo accessories that you can get your hands on in 2018! So join me on my quest to find all the best accessories for your Amazon Echo today! ps. you won’t want to miss Echo Gadget Number 1… it’s hilarious! 10Take a ride with Alexa by your side! Take Alexa with your on the road! The Logitech ZeroTouch Air Vent means you can ask Alexa questions, turn off your smart home appliances and send hands-free texts all from an easy wave of your hand. 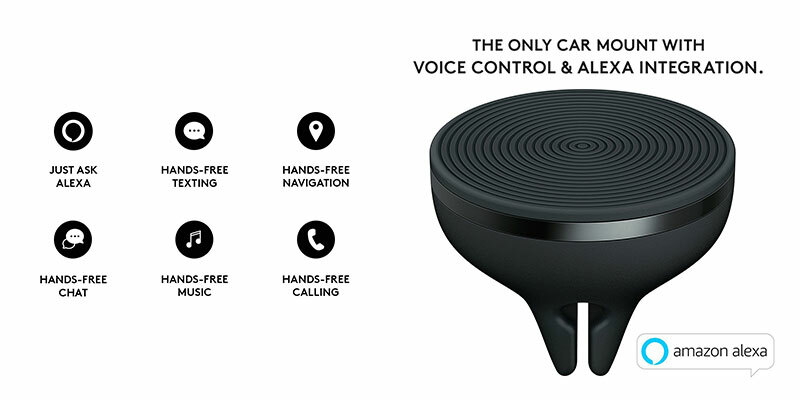 The ZeroTouch will fit into the vents in your car vent like any regular smartphone car holder. Once it place, the companion app makes using Alexa easier than ever! Just ‘Air High-Five’ to activate and then ask away. Want a story from your Kindle Library, perfect for those long car journeys? No problem. Want to know: the weather? The football scores? What’s the biggest living mammal on the planet? No problem. Sorry Apple fanboys but the ZeroTouch car mount is currently for us more sophisticated Android users only :D. I’m sure there will be an IOS version very soon though. Ever had that awful rising panic on your way to work when you’re not 100% sure you actually turned off your straighteners or the oven? Breath deeply and relax…. 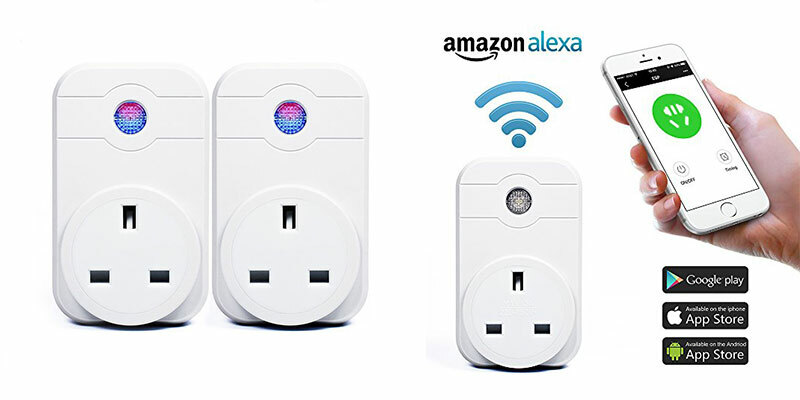 ahhhhhh….. save yourself the stress & panic by investing in a WiFi controlled smart plugs. You can turn off your appliances just by logging into the app from anywhere with an internet connection. If you’re at home, you can command them to turn on and off using your Alexa Enabled device. On a side note… have you ever wanted to experiment in making Alexa enabled toast? Well now we’re halfway there… I’ll leave the rest to your imagination! 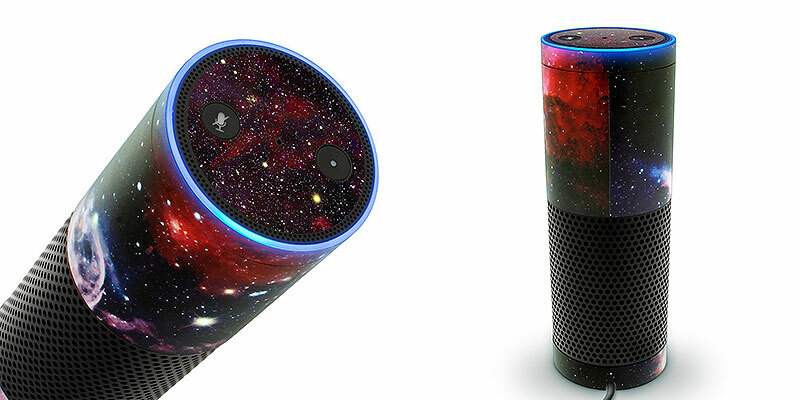 If you want to accessorize your first gen Amazon Echo and don’t need a carry case, you can decorate them with the ultimate in cosmic couture. The super wallet-friendly skins give your Echo an effortlessly unique look and with free delivery its a no-brainer! Tech Specs: Compatible with first gen echo, quick & easy to apply, easy to remove, leaves no residue. 7Now that your Echo is looking awesome it’s time to get connected with an awesome voice controlled lighting setup! 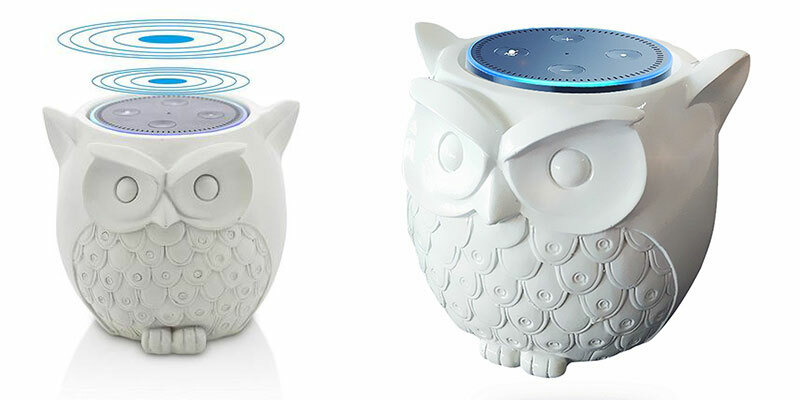 Once your echo is suitably accessorized, you can start using it to make your life easier! 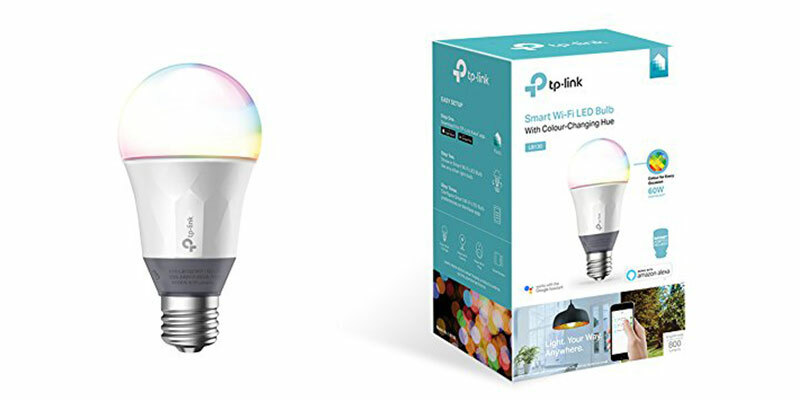 The best selling TP-Link Smart LED bulb is a voice-activated lighting setup you can control using Alexa or Google assistant through their KASA app. They’ve even created a super easy to follow user guide to set the app & bulb up. Setting the mood has never been easier, with lots of colours to choose from on the app, you’ll be the smoothest host around with zero effort needed. Well, now this wizardry is possible with the Nest Learning Thermostat. It works by learning your daily behaviour and self-scheduling your heating & hot water. This also includes turning the heating off when you leave the house, to save you energy and money! 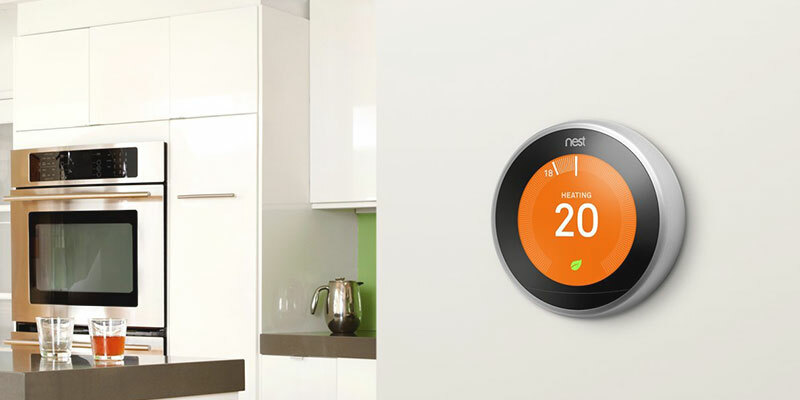 You can also control the Nest Learning Thermostat from your mobile to personalise your heating, check your energy history and you’ll even get an alert if your home gets too cold! It’s no secret that I’m absolutely fascinated by diffusers… I don’t know whether it’s the mystical plumes of vapour or the delicious smells which emerge but I’m definitely hooked. 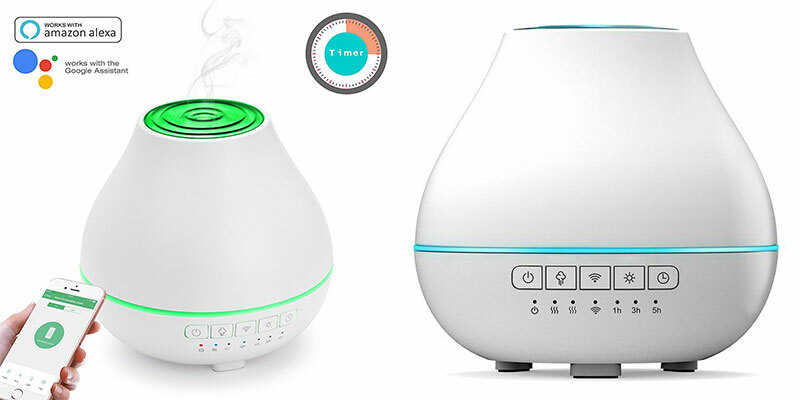 With the Oittm Ultrasonic Aromatherapy Diffuser, you can take your diffusing to the next level by turning on and off remotely via your Amazon Echo or Google home. Love to wake up to a gently perfumed & relaxed atmosphere? Want your bathroom to always smell lovely? With the timer function, you can schedule when you would like your Oittm diffuser to turn on & off and how long you’d like it to be on for. Remember how embarrassingly long it took you to put up your tent last time? What if you could have a gadget with you that would help boost your camping skills to a solid 8? 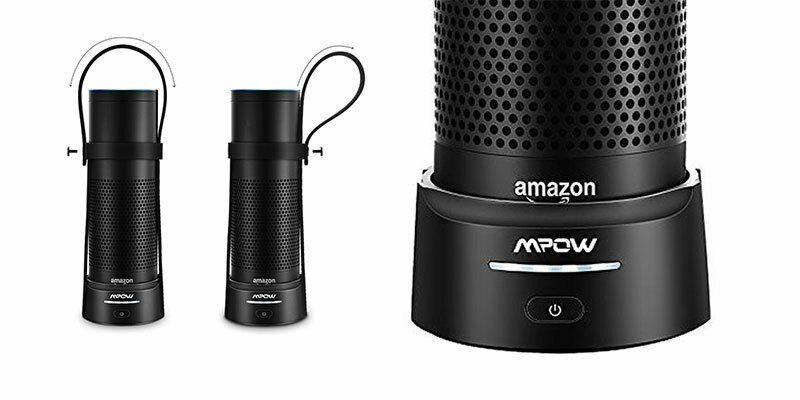 Thankfully the search is over and all this is possible with the MPOW Echo battery base allowing you to adventure into the wild with your trusty Amazon Echo for longer! We’ve all had near misses. If it’s not someone knocking past the table at a party, it’s you’re overzealous cat trying to kamikaze bomb your beloved Echo. But fear not! This stylish bamboo stand will keep your Echo upright & stable whilst doubling as a dock & charging station for your iPhone. 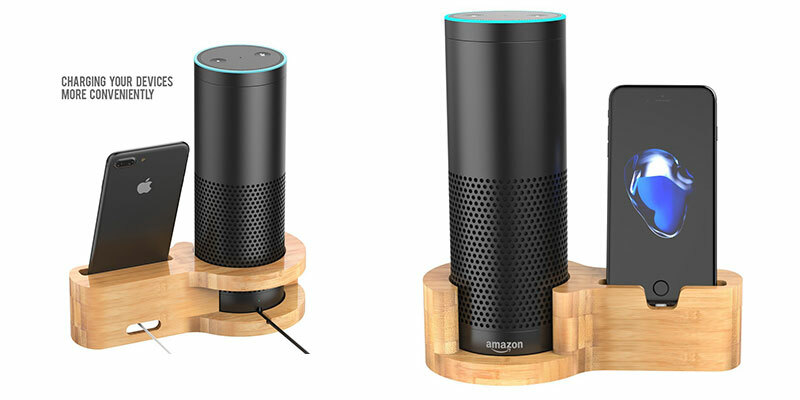 This sleek bamboo stand is one of the few stands I’ve found that is not only a protective home for your Amazon Echo but a charging dock for your phone as well so it’s a thumbs up for the design features. Having a boring Echo is a thing of the past with these uniquely designed Fintie cases. 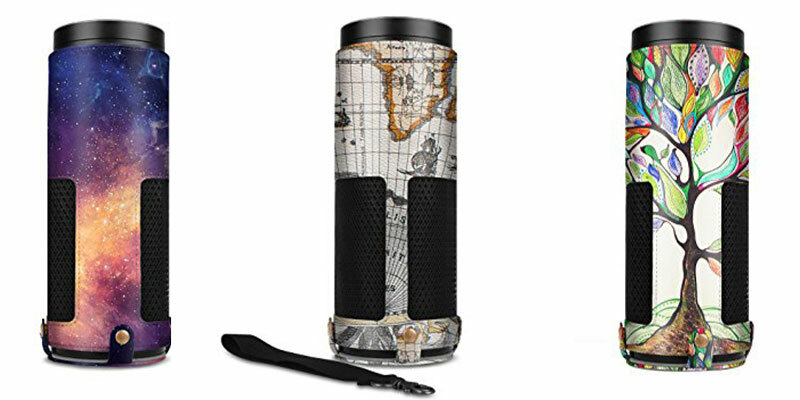 They come in a variety of colours and patterns from daring psychedelic leaf patterns to atlas themed cases for the globe trotters among you. The cases come with a useful carry handle so you can blast your favourite tunes whilst walking down the street, spreading daily cheer wherever you go! Plus…the case is made of synthetic leather so it’s perfect as a gift for the funky vegan in your life. 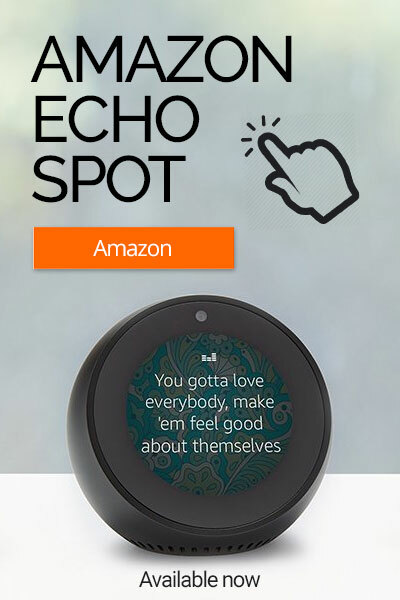 Does your Echo Dot yearn to be someone different? Do you catch it sneaking episodes of Planet Earth Season 2 when you arrive back from work?